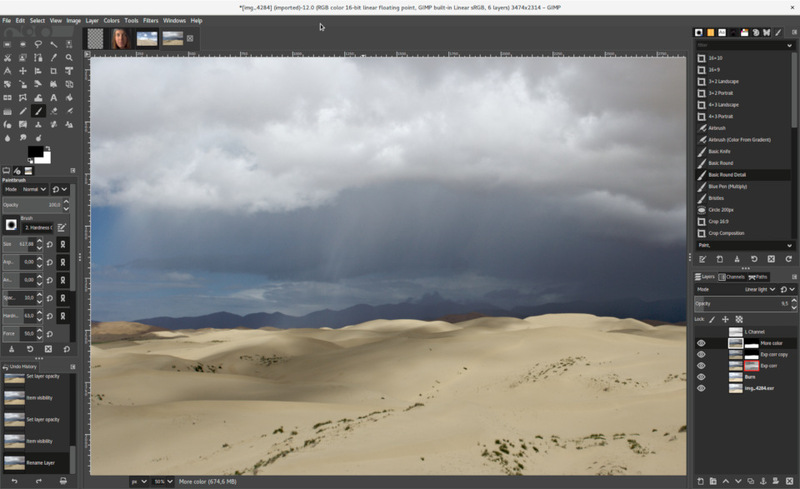 GIMP is a multi-platform photo manipulation tool. GIMP is an acronym for GNU Image Manipulation Program. The GIMP is suitable for a variety of image manipulation tasks, including photo retouching, image composition, and image construction.It can be used as a simple paint program, an expert quality photo retouching program, an online batch processing system, a mass production image renderer, an image format converter, etc. GIMP is expandable and extensible. It is designed to be augmented with plug-ins and extensions to do just about anything. The advanced scripting interface allows everything from the simplest task to the most complex image manipulation procedures to be easily scripted. ## Features - High Quality Photo Manipulation: retouching, restoring to creative composites etc. Original Artwork Creation: power and flexibility to transform images into unique creations. Graphic Design Elements: gIMP is used for producing icons, graphical design elements, and art for user interface components and mockups.